Have you ever wondered to Play Android Games On Windows or Run Android Apps On Windows? If Yes, then you are at Right Place, cause in this Article, I’m going to Share 5 Best Android Emulators For Windows Of 2017. Even after having Smartphone, we have the desire to use those Apps on our Windows. It is possible and very easy to Use Android Apps On Windows. 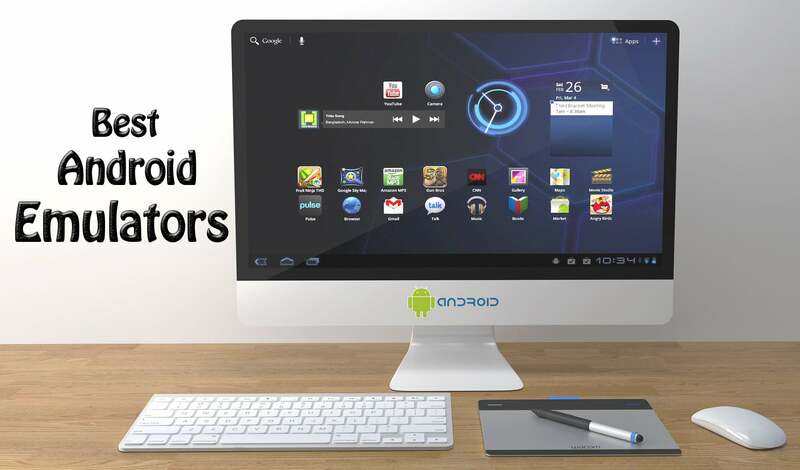 You Just need the Best Android Emulators & you can Run Android Apps on your Windows. In this growing technology, everyone has Smartphone & One cannot live without it. Android is the most Popular Operating System for Smartphone and there are thousands of Apps which can Enhance your Experience. In the Previous Article, I’ve Shared How To Download APK From Play Store, Once you Download APK File, you can also use those Apps in this Android Emulators. You can run most of the Apps available on Play Store and Play Games easily on Android Emulator without any issue. You will get most of the features which are available on an Android Smartphone and one of the major plus point is you can use Android on a large screen. There are many Android Emulators for Windows 10, Windows 8, Windows 7, but here In this Article, I’m going to Share Best Android Emulators. So, let’s proceed further and check out 5 Best Android Emulators For Windows. Nox App Player is one of the Best Android Emulators for Windows which let you run Android Apps directly on your PC without any issue. This Emulator uses Android version 4.4 KitKat which many of you will be familiar with. It is similar to other Android Emulators but it is much more than that. If you ever used any Android Emulator, then you might know Rooting a device is a huge pain with so many steps and lots of errors. However, with Nox, you don’t have to face these problems as it has One Click Root Process. You can easily Root in Just One Click. Also, it has a feature where you can use multiple accounts and play multiplay games even at the same time. It has an ability to help you play a different game at the same time without even having to switch between Application Window. Bluestacks is one of the most widely used Android Emulator which you can use to Run your Android Apps or Games very easily. The newest Bluestacks has the ability to launch multiple games at the same time and you can play at a same time. Also, it has keymapping and setting for many installed games. 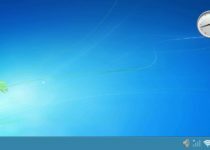 If you want to root Bluestacks, you can easily Root Bluestacks In Just One Click. You can Play most of the game lag free at high FPS. The newer version of Bluestacks supports most of the Apps & Games which you can use without any issue. Andy Android Emulator is one of the Best Android Emulator you can use to Run your Favorite Apps & Games on Windows or Mac. It is based on VirtualBox. Hence, it does not require any dedicated Graphic to function smoothly and works pretty well even on Intel HD Graphics. 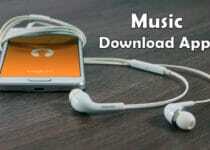 It is very handy and you can use it without any issue. You can also watch Movies & TV’s from Showbox on Andyroid which is really great. Andy can do much better than other Emulators as you can easily customize Andy from Launchers to Lockscreen. You can also Sync Mobile with Andy Android Emulator which is really great. Droid4X is another Best Android Emulator having Simple UI & can be easily used on Windows & Mac for running your Android Apps. If you ever wondered to Root your Smartphone but due to some reason you can’t Root it, then you must try this Android Emulator as it comes pre-rooted which might be really helpful for most of the users. Similar to other Android Emulators, you can also Play games like Clash of Clans, Boom Beach, Asphalt 8 without any lag at high FPS. Droid4X is must popular for Gaming and it supports high-end games which you can Play easily with Keyboard Support. MEmu is another Best Android Emulator for Windows which comes pre-installed with Jelly Bean which later on you can upgrade to KitKat. One of the Greatest Features about MEmu Emulator is that it supports both AMD & Intel Chipsets. Even you can also configure CPU, RAM, Device Model, etc. according to your needs. Unlike others, this emulator is also very handy and multiple apps can be used pretty well. Also, this emulator is good for Gaming purpose. It also supports Keyboard Mapping which you can use to assign certain keys. Other than this, it supports screen recording, screen shot, full-screen mode, etc. So, These were the 5 Best Android Emulators For Windows. You can use any of the Android Emulator you want. Almost, every Emulator has the same feature with the minor difference. It’s totally upon you which Android Emulator to use. I’ve already shared an Article On Best iOS Emulators, you can check that if you want. Hope you liked this Article On Best Android Emulators. Comment below if you have any query. Stay tuned with Trick Xpert for more latest Tricks & Updates.